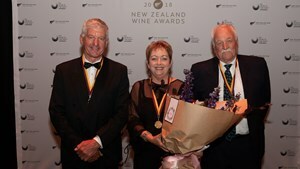 The New Zealand wine industry has recognised the service and dedication of industry icons Mark Nobilo, Jane Hunter and Ivan Sutherland by inducting them as Fellows of New Zealand Winegrowers at the New Zealand Wine Awards dinner held in Wellington last month. The Fellows award recognises individuals who have made an outstanding contribution to the industry. Mark has been a tireless advocate for grape and wine industry for over 50 years from his time as viticulturist with the family firm through to his recent years as a consultant, particularly in the Northland wine industry. 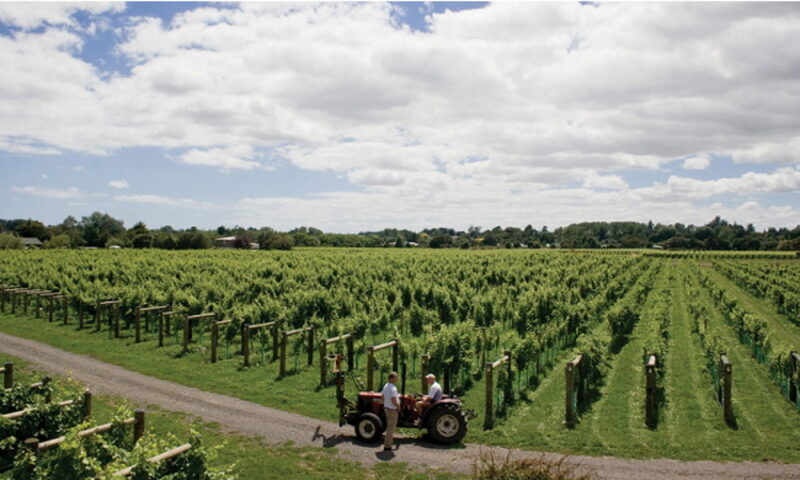 In his role with Nobilo Vintners Mark spent enormous amounts of time helping the Gisborne and Hawke’s Bay growers in their endeavours to produce quality grapes. In more recent years Mark has been a consultant particularly in Northland where he has shared his knowledge, without charge, with all Northland winegrowers. Mark served on a number of industry Committees over the years but perhaps most notably on the New Zealand Grapevine Improvement Group which played a key role in sharing knowledge about and distributing improved planting material to the industry. “Mark has always given freely of his time to assist the growth of the industry,” said John Clarke, Chair of New Zealand Winegrowers. Jane joined the New Zealand wine industry in 1983, taking up the role of National viticulturist with Montana Wines. Jane has contributed to the wider industry in many ways and served on the Wine Institute Board and various Committees for several years. Importantly she was a foundation Director of the New Zealand Wine Guild which charted the path forward for New Zealand wine in the UK in the early 1990’s and established the model of cooperation in export which has served the industry well to this day. Jane has received a number of awards over the years honouring her contribution to our industry including in 1993 an OBE in 2009 when she was made a Companion of the New Zealand Order of Merit and in 2013 became the first woman inducted into the New Zealand Wine Hall of Fame. “Jane never intended to stay in the industry long but has since become a New Zealand wine icon. One of Jane’s greatest assets has been the time and energy she has devoted to serving the wider community,” said Mr Clarke. Ivan, originally from Marlborough, studied Valuation and Farm Management at Lincoln University graduating in 1972. He has been involved for nearly 40 years in the New Zealand wine industry, commencing as one of the first contract growers in Marlborough in 1979 before becoming involved in viticulture consultancy. Today he is a proprietor of well know premium winery Dog Point Wines. Ivan has served the industry in a number of capacities over many years. He was a founding member of the Marlborough Grape Growers Association and served as Chair on more than one occasion. As a strong advocate of grower issues, Ivan has always had a keen interest in research serving as Chair of the original Marlborough Wine Research Centre Board. More latterly Ivan became a Trustee of The Marlborough Research Centre and still enjoys this involvement. As an ardent advocate for all things Marlborough, Ivan was a Board member of the first International Sauvignon Blanc Celebration held in Marlborough in 2016 playing a major role in the success of the event.